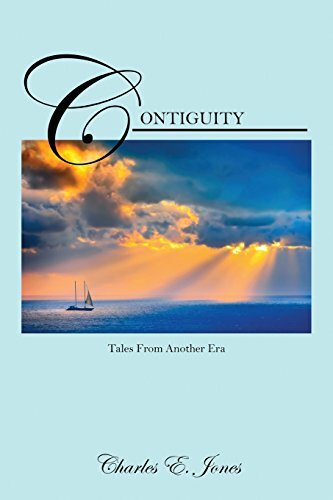 “Contiguity” by Charles E. Jones is a collection of four novellas and two short stories. All the stories take place in different eras and in different parts of the world. The author takes you from Monaco to Singapore to the American Old West and even on to the American Northeast. As I read, I felt like the narrator was a completely different person as each story has its own voice, and Jones’ writing talents quickly draw you into each tale. Several of the stories left me wishing he had made them into full sized novels. The plus side of well-written short stories and novellas is that you can curl up and have something to read before you go to sleep, and start the next evening with something completely different. In the case of “Contiguity,” I looked forward to stepping into another era and place as I read. I was also very impressed with how well the times and places were captured. Jones easily changes his styles as he switches from writing about a gambler in Monaco to writing about a law enforcement man in the American Old West. From a war love story to cowboys and Indians, he covered a lot of ground! I highly recommend reading “Contiguity” by Charles E. Jones. This wonderful book is full of action and adventure. It would make an excellent gift for someone who enjoys reading fictional tales and there is something it for almost everyone.